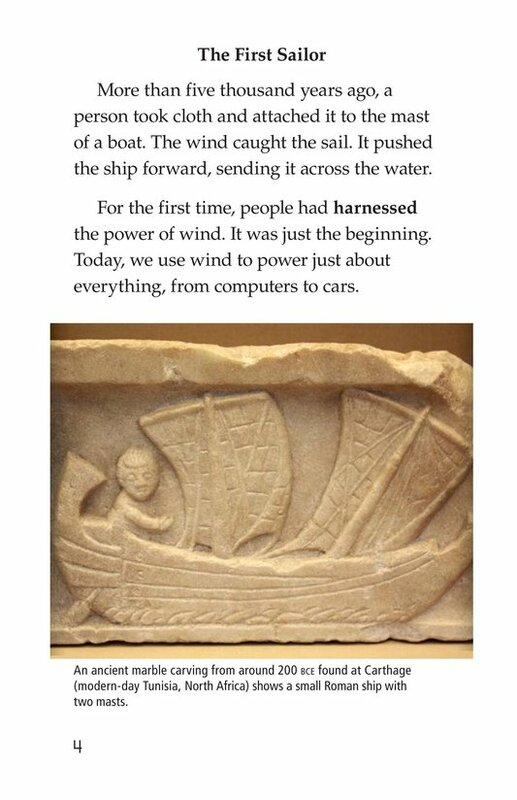 Humans have been harnessing the power of wind for thousands of years. 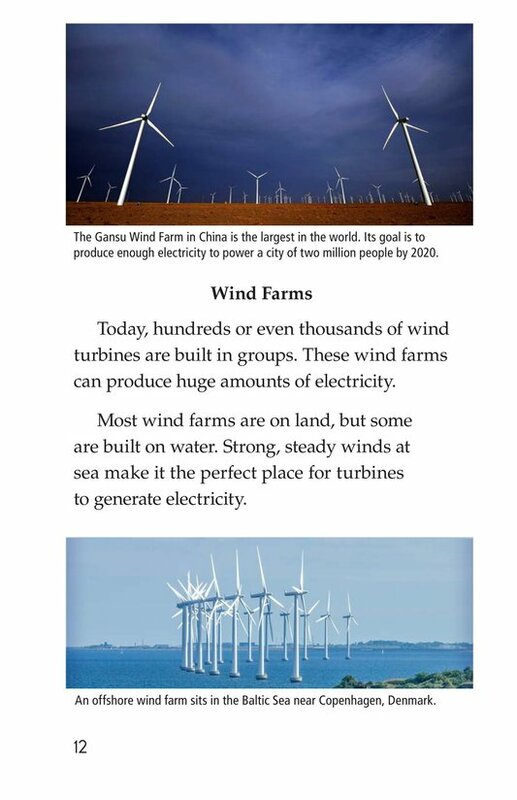 This clean and renewable energy source is becoming increasingly popular worldwide. 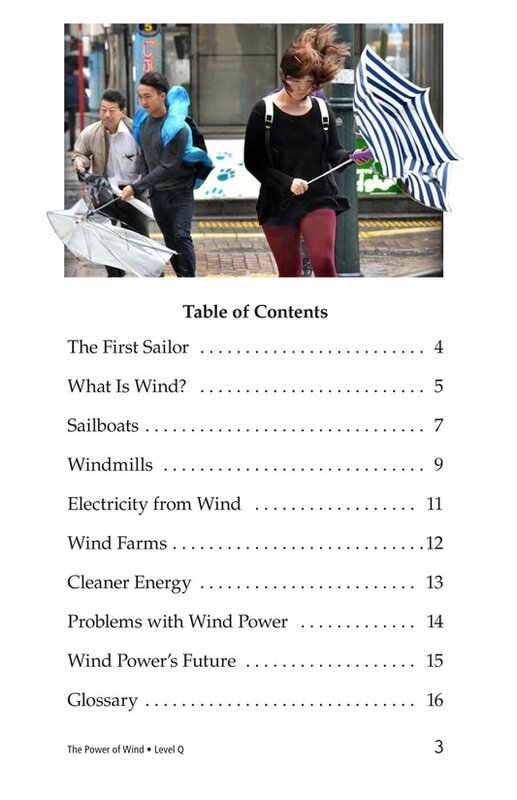 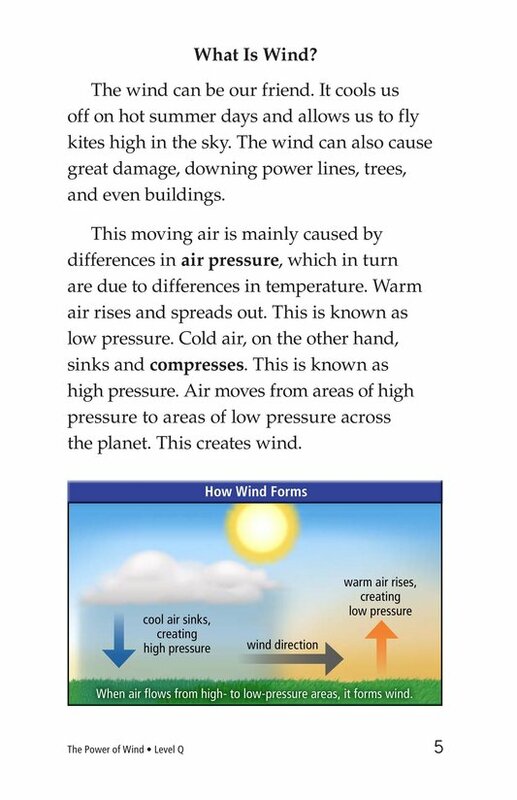 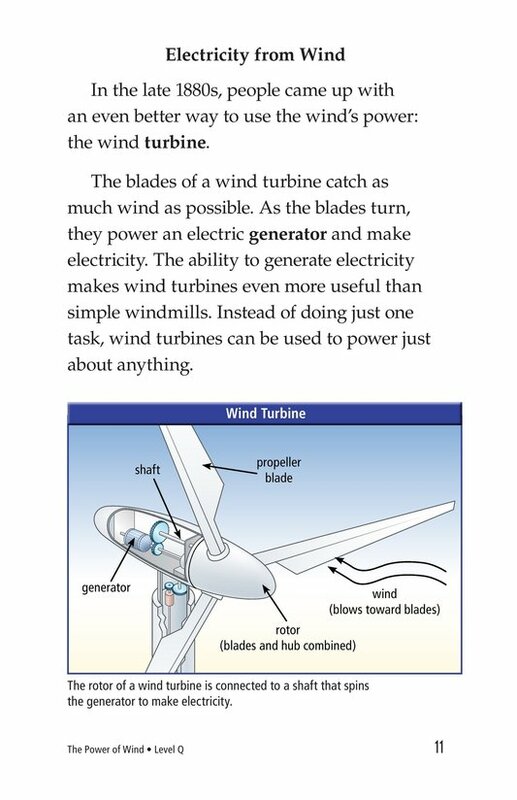 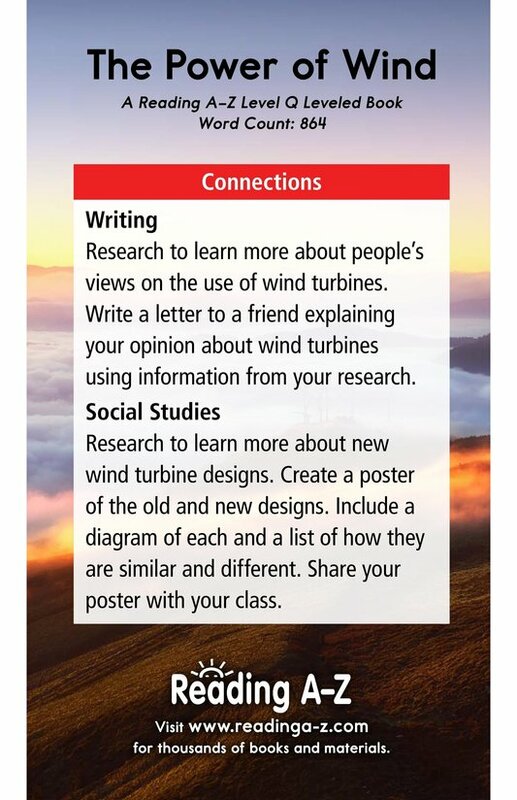 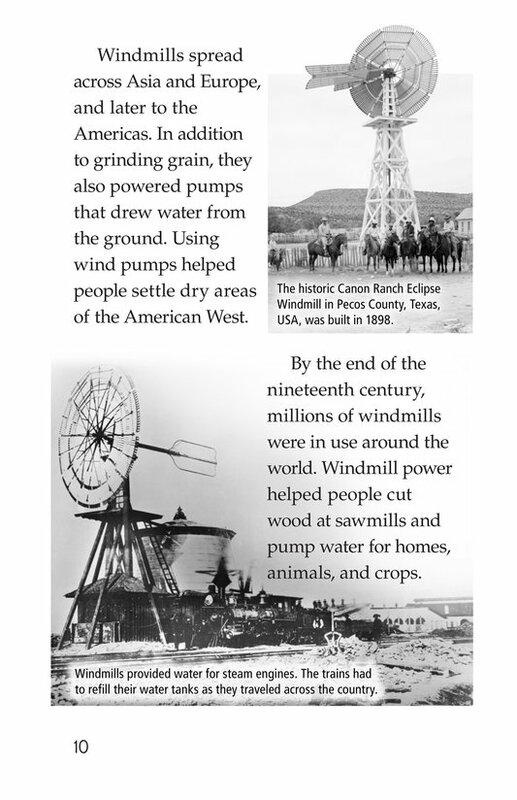 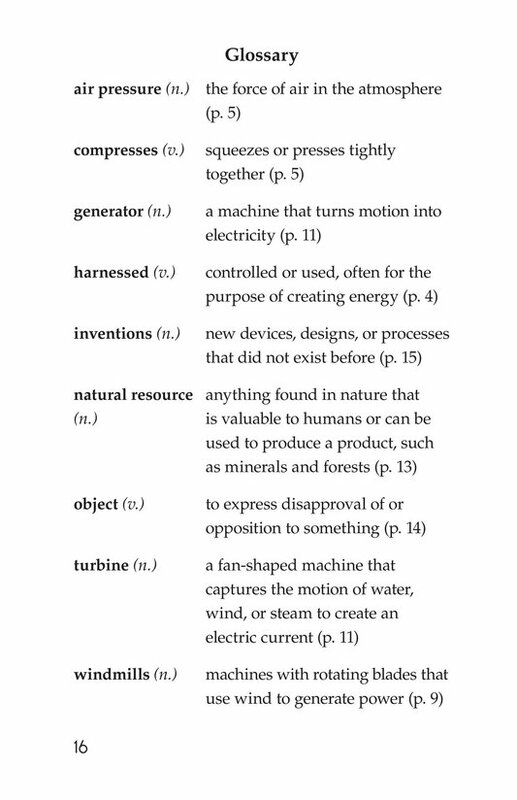 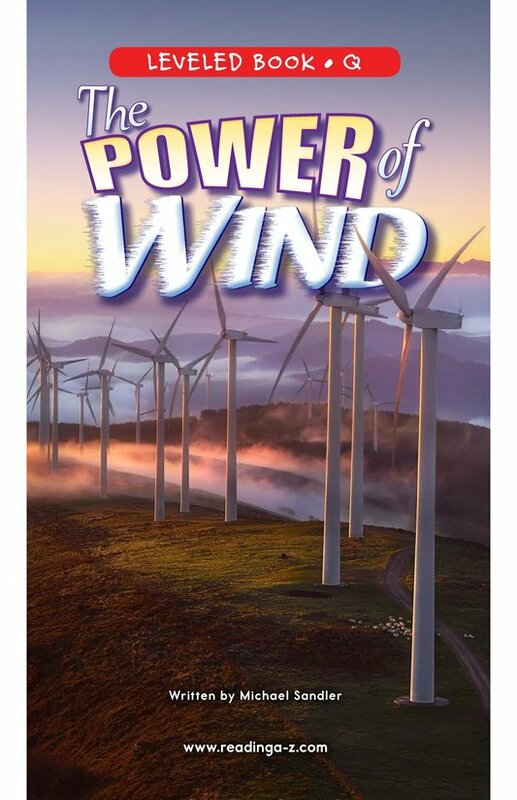 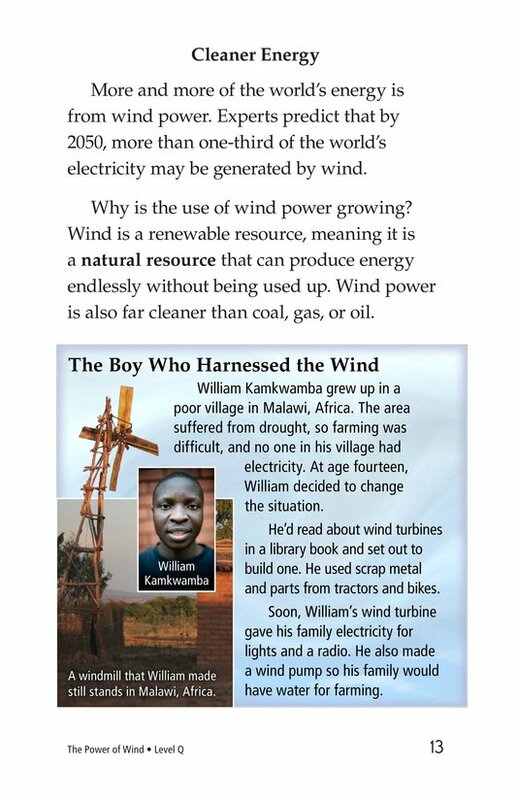 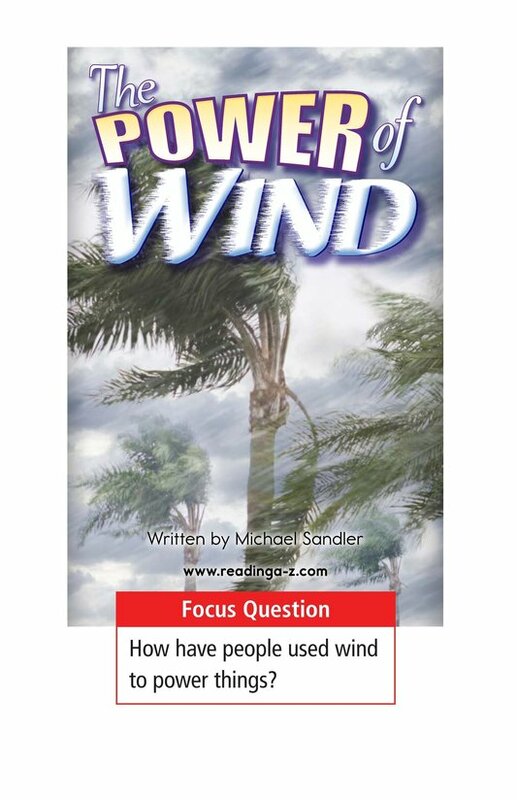 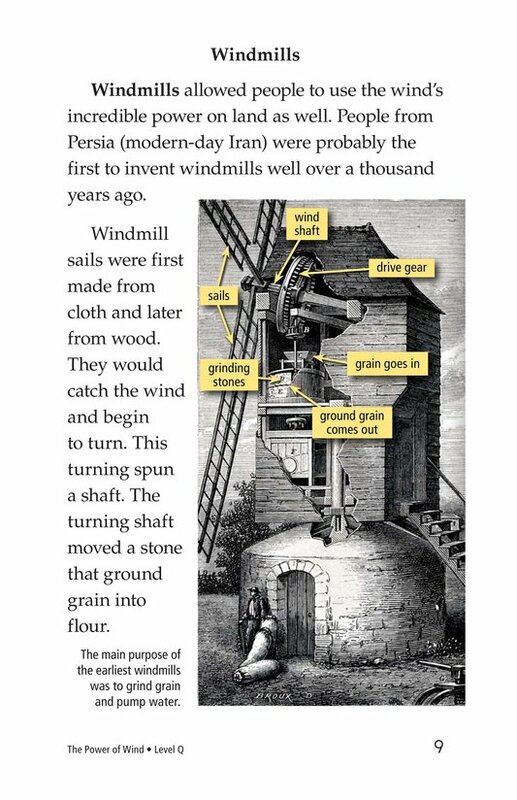 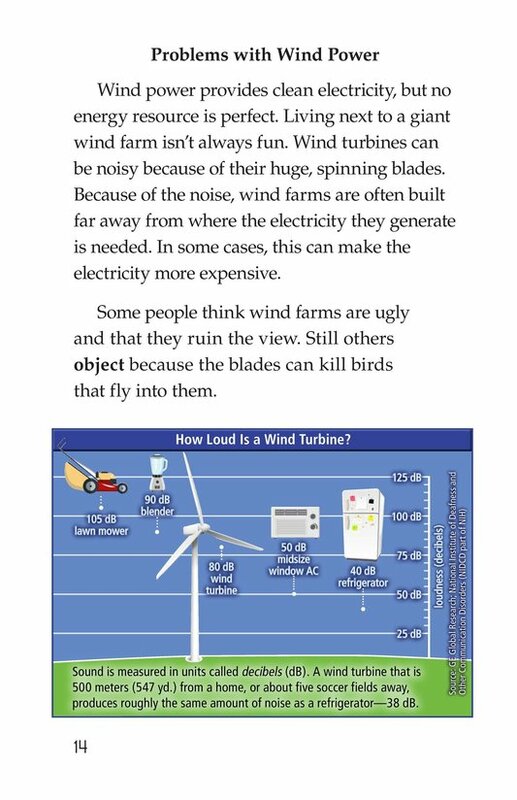 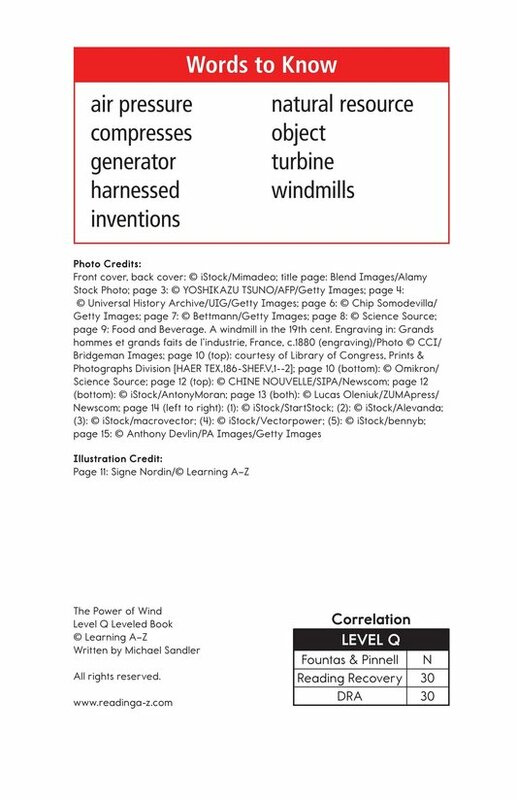 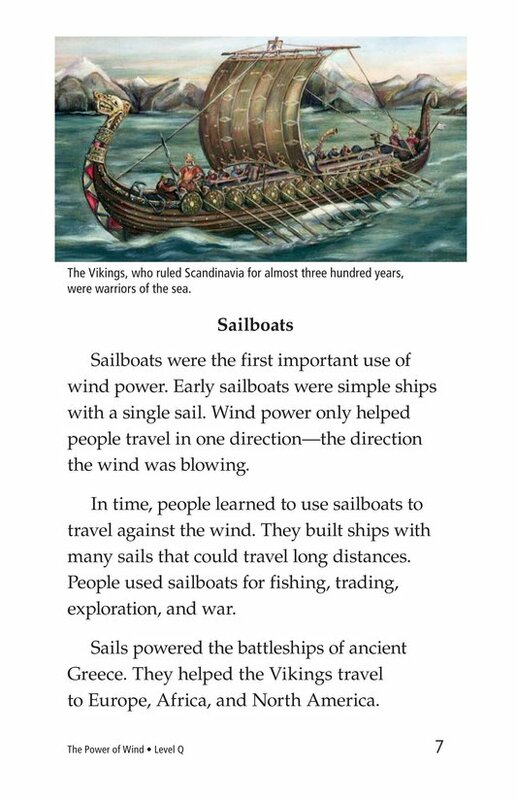 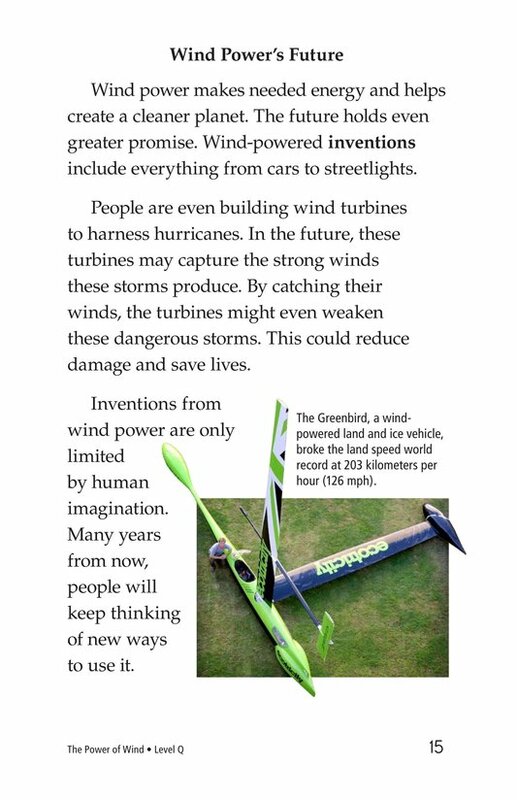 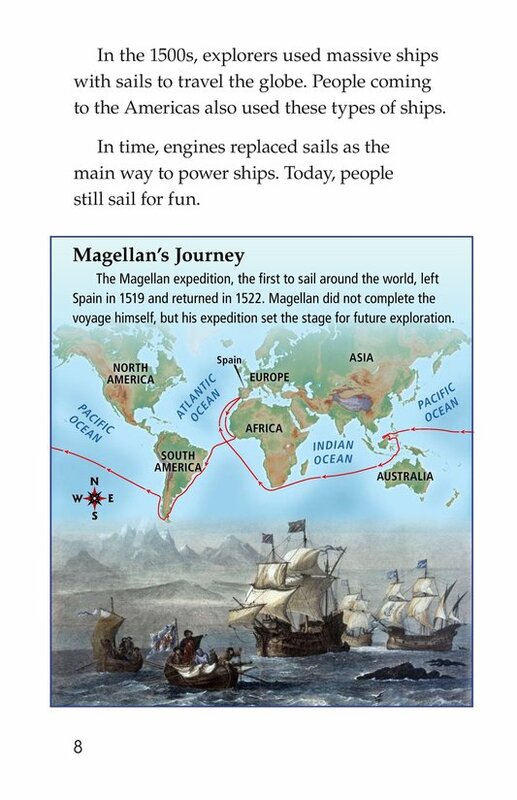 The Power of Wind introduces students to the history and technology behind wind power. 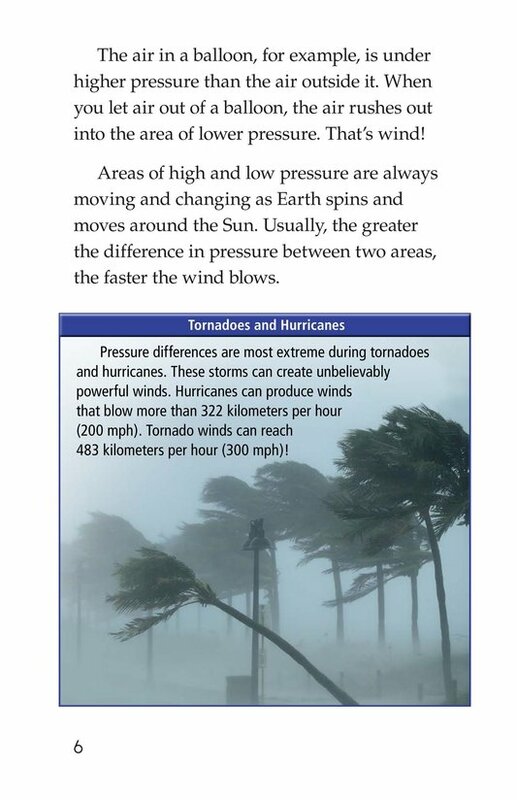 The book can also be used to teach students how to identify cause-and-effect relationships as well as to identify plural nouns.